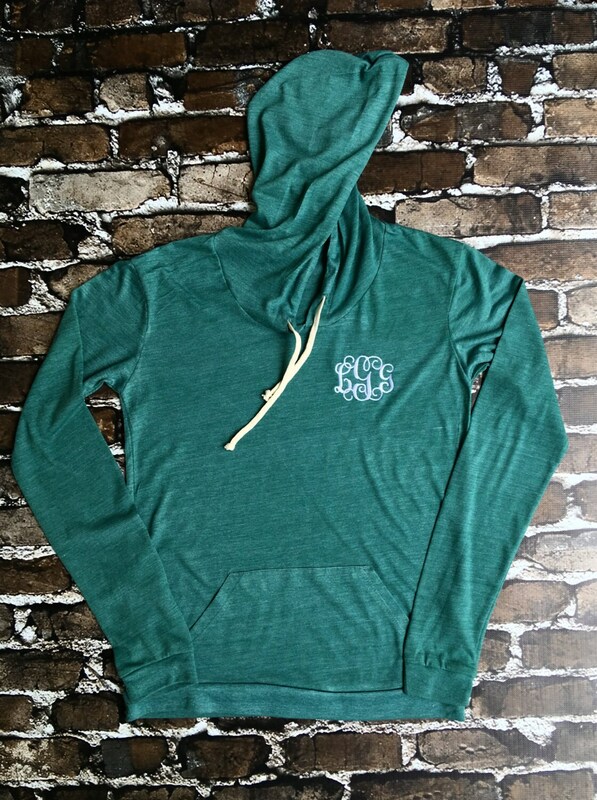 Our monogrammed hoodies are lightweight, and made of organic ringspun cotton and dyes. 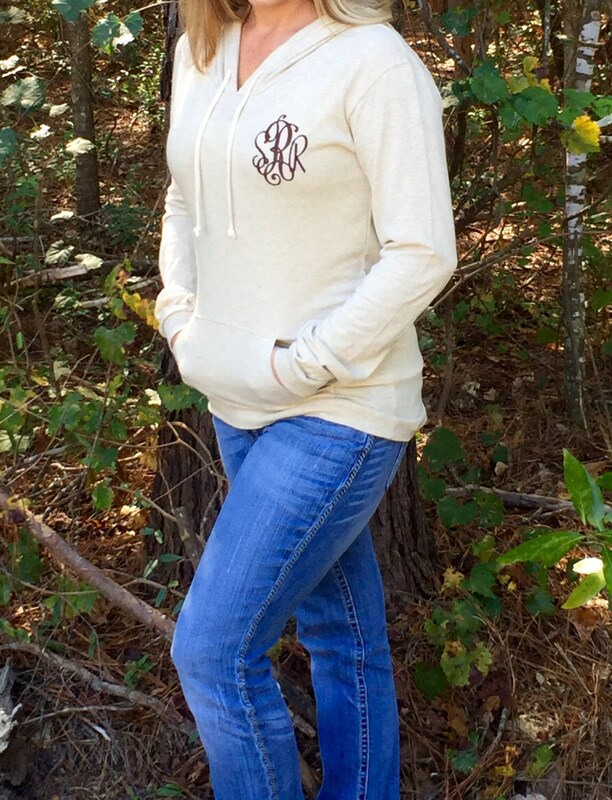 This lightweight sweater is perfect for this Fall weather! These make the perfect monogrammed Christmas gift, and are available in five beautiful organically dyed colors. Your monogram is embroidered on the left breast pocket area in the thread color of your choice. 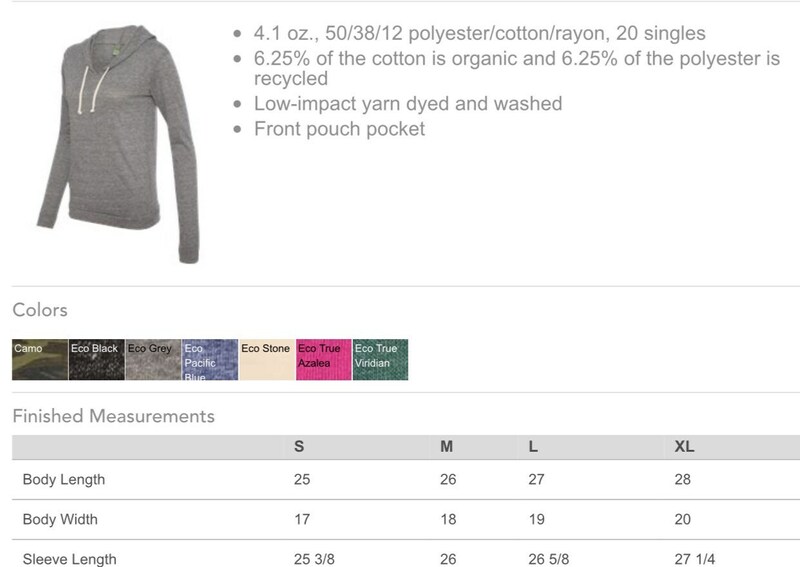 Choose your size and hoodie color from our drop down menu options. For size chart and color choices, please reference the listing photo which contains measurements and depicts color options. Next, add to cart and leave a note to seller with your monogram information. Please be sure to enter your monogram exactly as you'd like it to appear on your item. 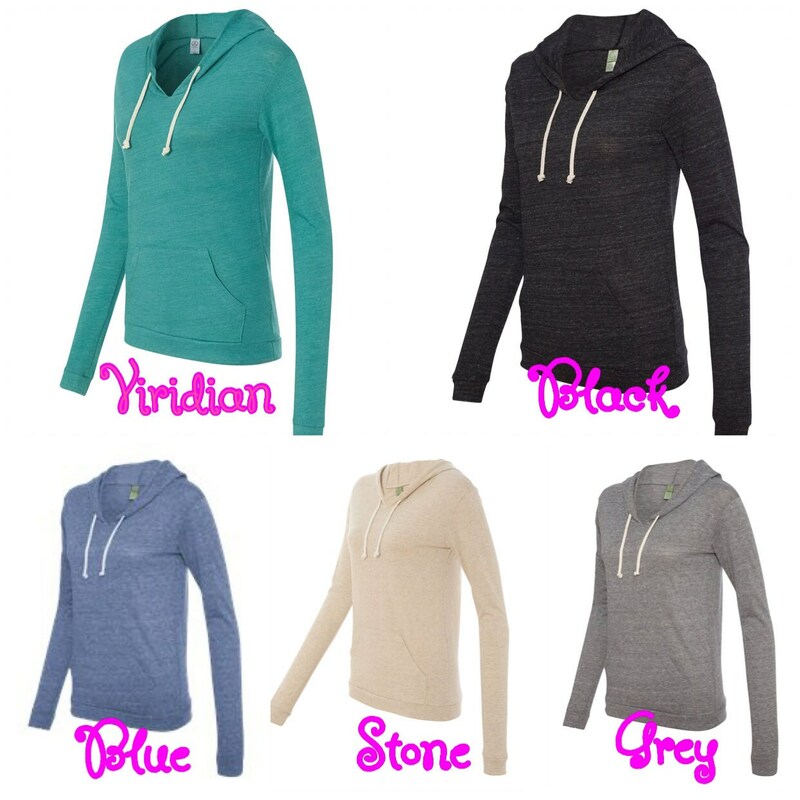 These hoodies are made of organic 4 oz cotton and are a fitted style. They run true to size, so please refer to size charts, and if in doubt, always size up! Item arrived in a timely fashion. Well made and very nice material. 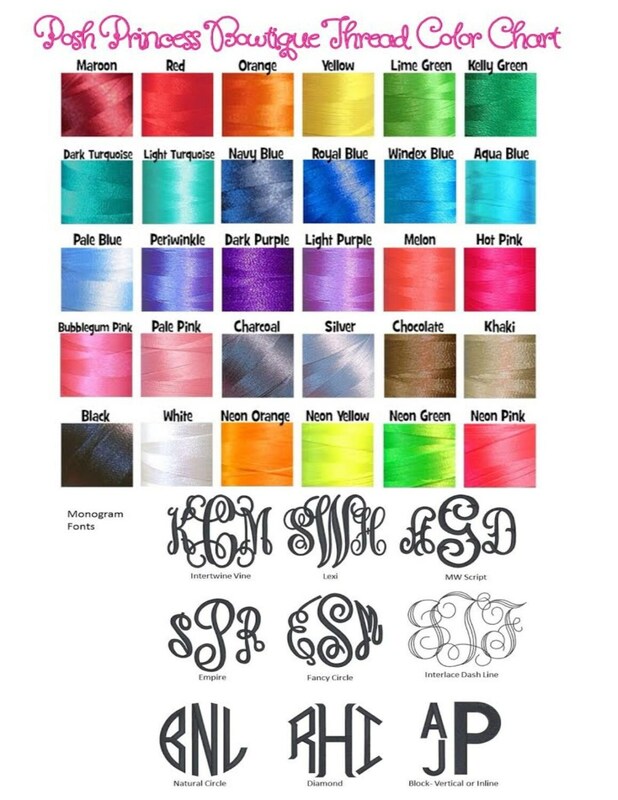 Like the coloring and that you can change the color of the monogramming. Only complaint is I feel like it's not worth the money seeing as the material is VERY thin. I've had t-shirts thicker than this hoodie!